When the Scottish Queen Mary I returned from France in 1561 she found the city of Edinburgh to be a terrifying place, gripped with religious fervour. At the time, the Protestant religion had gained traction throughout Scotland, and Mary, being fiercely Catholic, was perceived to be a potential threat to the Protestant power in the country. Many nobles were worried that Mary’s influence could make Catholicism the dominant religious force in the nation so they were publicly hostile to her rule. This hostility gradually grew until the now infamous events at Edinburgh castle occurred in 1566. The following tale is one of the defining moments in the history of Edinburgh. At the time, Mary Queen of Scots was married to Henry Stuart – also known as Lord Darnley – in a relationship that was recorded as being tempestuous at best. 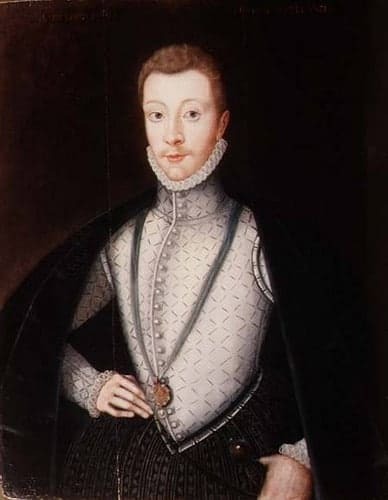 An Englishman from Yorkshire, Darnley was well-educated and described as being a tall and statuesque gentleman, and when the two were introduced at Holyrood Palace in 1565 it was evident that Mary found him attractive. After a short courtship the pair were married in Mary’s private chapel at Holyrood, and Darnley was proclaimed as an equal to Mary and the King of all Scots. It didn’t take long for Mary to discover that her husband had a ferocious temper and was not only vain and arrogant but was also a cruel drunkard. Before long rumours were whispered in the royal court that Mary had become embroiled in an extra-marital affair with the Italian courtier David Rizzio, and during this time Mary fell pregnant. Although the father of the child will never be known with certainty many officials at the time were confident that the child was Rizzio’s. Lord Darnley was furious that he’d been made to look foolish in front of the royal court and so a devious plan was hatched. In 1566 Darnley, along with a band of rebels and the 3rd Lord Ruthven, overpowered Mary’s guards at the palace of Holyrood in Edinburgh and burst into her private chambers where they found her alone with Rizzio. The rebels demanded that Rizzio was handed over to them, but even though Mary refused the rebels seized him and stabbed him a total of 56 times, right in front of the terrified queen. Rizzio was then stripped of his clothes and jewels and was buried in a makeshift grave within two hours of his death. If you visit the palace today you’ll get the chance to visit the very same room where the murder took place, and if you look closely at the wooden floorboards near the windows of that room you can still clearly see the blood-soaked floorboards where Rizzio gasped his last breath. Fate had its own plans in store for Darnley and on the 9th February 1567 he was murdered at the Old Provosts lodging in Kirk O’ Field, Edinburgh, when two explosions ripped through the building. Darnley was found outside with his valet, both dead but with no apparent signs of injuries that could have been caused by the bombings. The theory is that Mary had finally exacted her revenge for the death of her lover, but to date the truth has never been verified. Following these incidents Mary fled Edinburgh and the downward spiral of her support with the Scottish people culminated in her loss of the Scottish crown, before finally being accused of treason against the English Queen Elizabeth II. 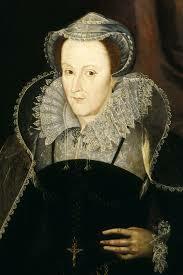 The sorry end of her story concludes with her incarceration in England at the orders of the English crown, before finally being executed by beheading on 8th February 1587. Following Mary’s death the reformation of Scotland resulted in a Presbyterian religious system inspired by the Protestants. There were many changes to Scottish society during this time, including plans to put schools in every parish as well as significant reforms of the university system. These reforms transformed every major discipline in education, from literature, science, the arts, music and architecture, which slowly led Edinburgh to become the educational powerhouse that it is today. The long years during the Reformation were hard on Edinburgh, when not only was it ransacked by the English, but it suffered terrible outbreaks of the plague. But the city managed to survive, and indeed, flourish. 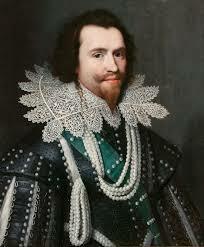 In 1603 Mary’s son – King James the 6th of Scotland – became the joint ruler of England and Scotland in an act known as the Union of The Crowns. Although Scotland was still regarded as a separate kingdom from England, James set up court in London where he controlled Scotland through a privy council in Edinburgh. An uneasy relationship continued for many years, even during the English civil war when the Commonwealth forces of Oliver Cromwell occupied Edinburgh, much to the annoyance of the royalist Scottish army. By this time the city was enclosed by defensive walls built as protection from attempts by English armies to invade. This gave rise to an extreme lack of land which in turn gave town planners only two options to continue building property in the city. Because they couldn’t construct outwards they had to either build downwards, or they had to build upwards, which is why Edinburgh is home to so many multi-storey buildings. If you wander around the streets near the Royal Mile today you’ll see many tenement buildings from the 17th century that are quite unlike any others in Europe at the time. They are, in fact, some of the world’s earliest examples of high-rise tower blocks, with some of the buildings of the period reaching an incredible 15 stories high. It’s widely considered that Edinburgh’s Old Town architecture is an exceptional feat of engineering, especially since the architects of the time had no knowledge of material stresses and forces like modern architects do. Although the majority of these high-rise blocks were demolished in the Victorian era you can still see examples of multi-storey buildings throughout the Old Town. So the next time you wander down the Royal Mile, stop for a minute and take the time to look up at the tenements lining the streets, and admire the effort that must have gone into building these marvels. With the passing of the Acts of Union in 1707 England and Scotland finally merged, with the two great nations maintaining their own identity, but now known as The Kingdom of Great Britain. However, the fact that the seat of power still resided in London did not sit well with the Scots people, and for many years civil unrest and riots consumed Edinburgh. And yet the city still endured. In the following decades the city established itself as one of the most important centres of commerce in Britain, and people from all across the country were drawn to it by stories of fortunes being made by hard-working merchants. And so it was that by the end of the 17th century the population of the city had grown to a remarkable 50,000 residents. Click here to read the History of Edinburgh Part 1. Click here to read the History of Edinburgh Part 3.